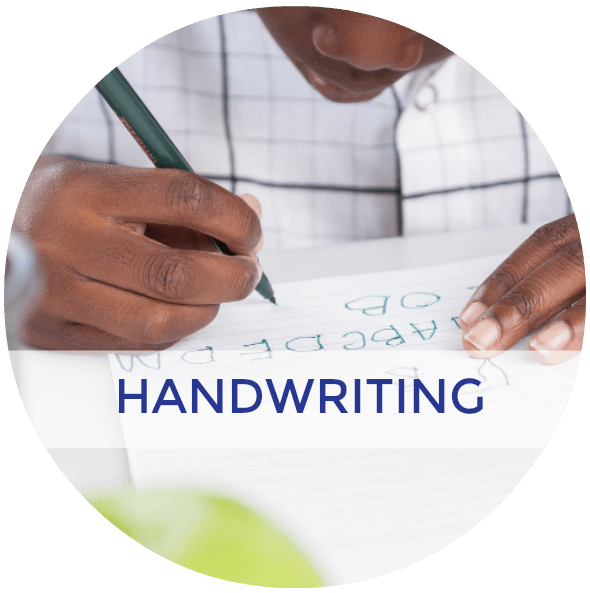 Having a strong pincer grasp is important for future handwriting skills and is a natural part of a child's hand grasp development. 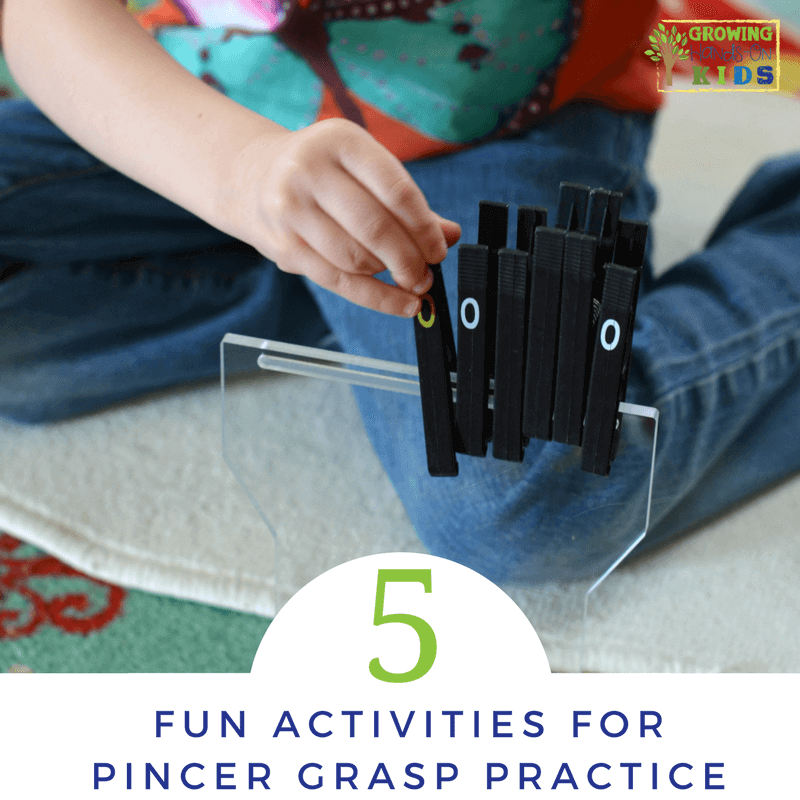 I've teamed up with Adapt Ease to share 5 fun activities for pincer grasp practice with you today. This is a sponsored post on behalf of Adapt Ease. 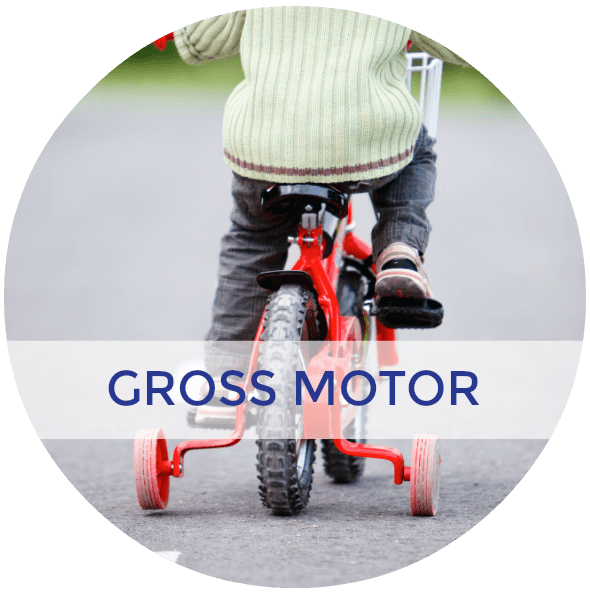 I was provided free product and compensated for my time in creating this post. All thoughts and opinions are my own and 100% honest. 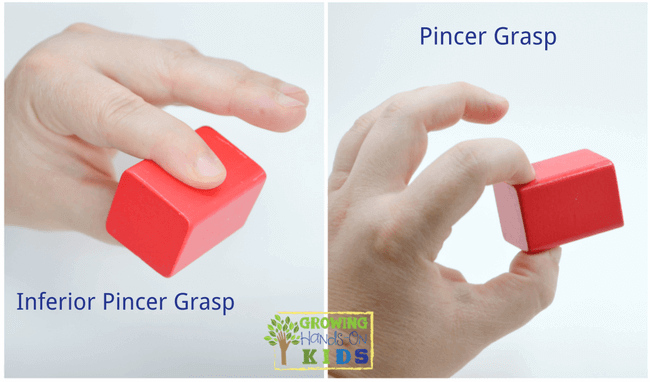 What is the Pincer Grasp? 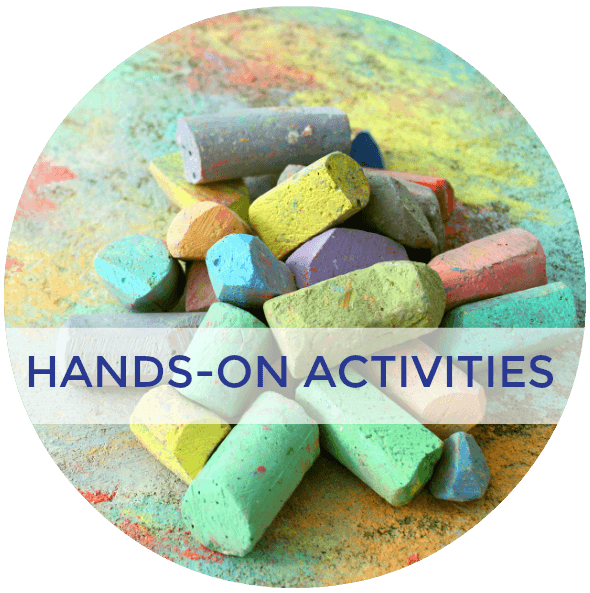 The pincer grasp is important for building strong fingers for proper pencil grasp for handwriting. 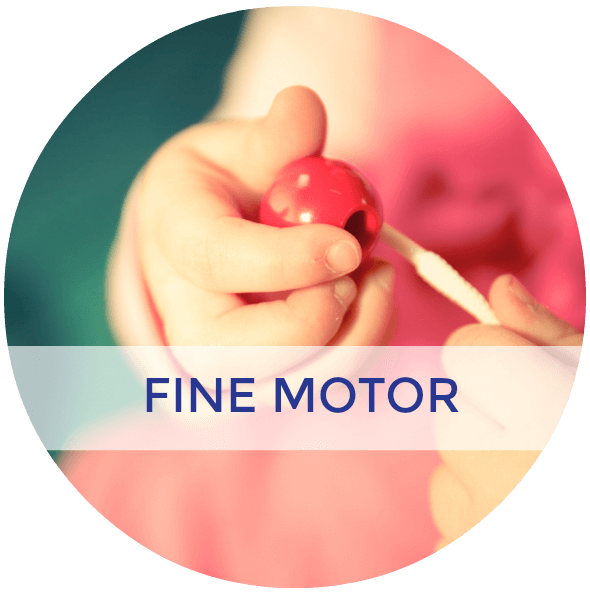 The pincer grasp is using the tips of the index and thumb to grasp an object and hold it. Sometimes the middle finger is also used for support. 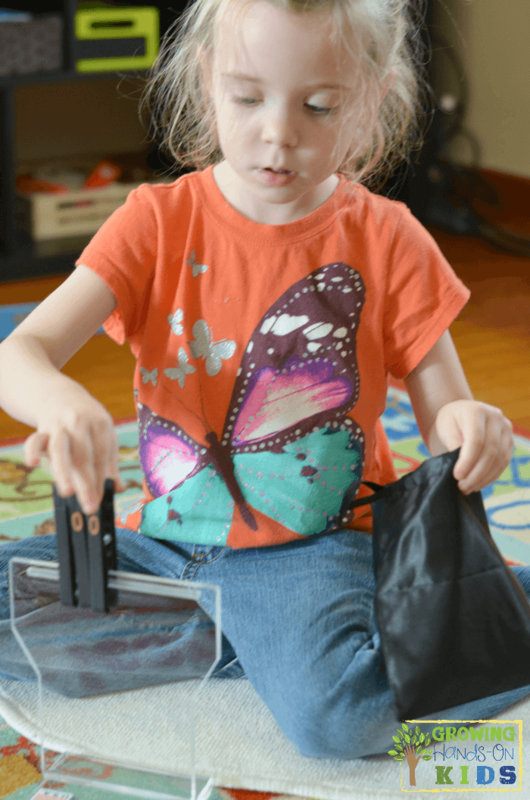 There are many fun ways you can encourage pincer grasp practice without your child even knowing they are doing it. 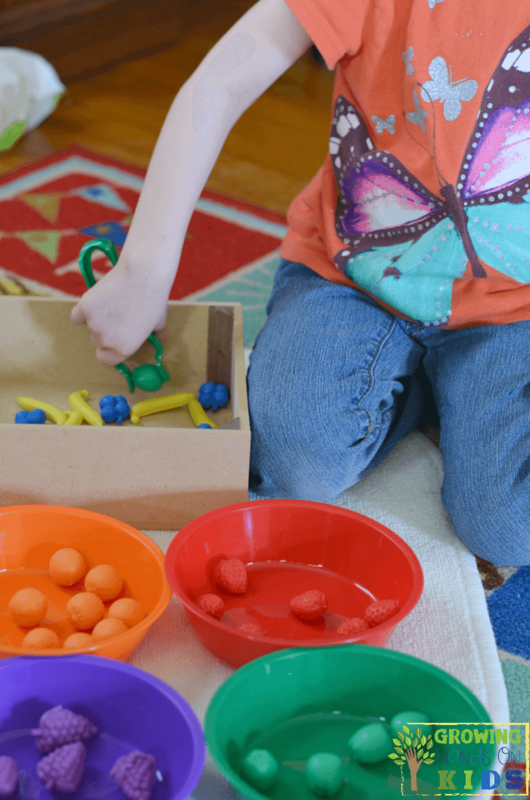 Anything that involves pinching, grasping, or transferring items is a great way to do this. 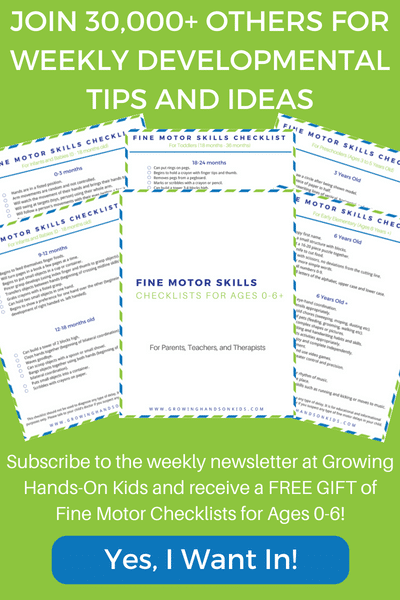 This Fine Motor Fruit Sorting Life Skill Activity from Adapt Ease is a great way to work on the pincer grasp. The tweezers encourage using the index and thumb to grasp, squeeze, and transfer the fruit into the corresponding colored bowls. My 4 year old really enjoyed matching up all the fruit to the colored bowls. We used our white activity mat to line up all the bowls and then dumped all the fruit into the wooden container it comes in. Then she used the tweezers to pick up each piece of fruit and match it to the colored bowl. 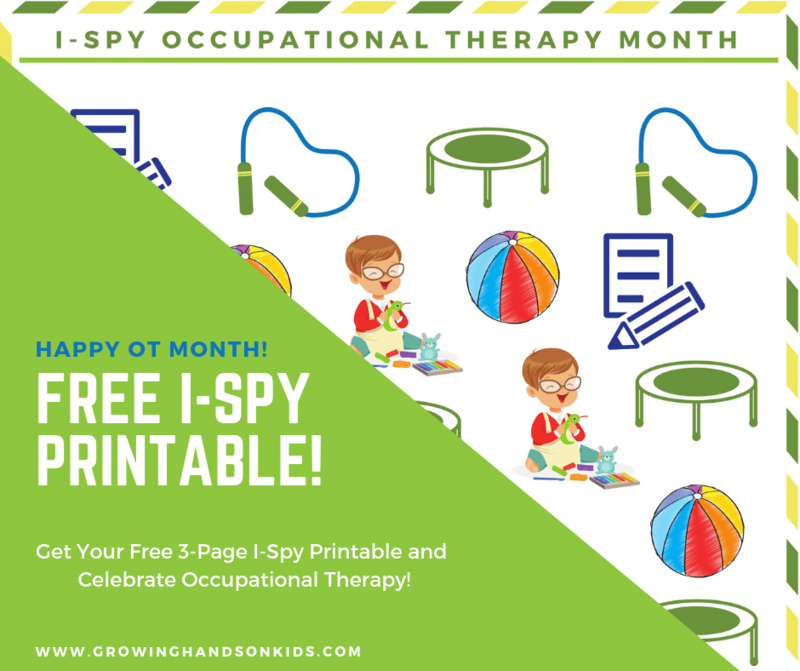 You can purchase the Fine Motor Fruit Sorting Life Skill Activity from Adapt Ease HERE. You've probably seen many clothes pin activities out there on Pinterest or Facebook. One thing I really like about this Resistive Grasp and Pinch Exerciser therapy set from Adapt Ease is that there are three levels of resistance with these clips. Each colored circle represents a different resistance from easiest to hardest. All of the clips come in a handy draw string bag and you also get the plastic stand to clip them to. 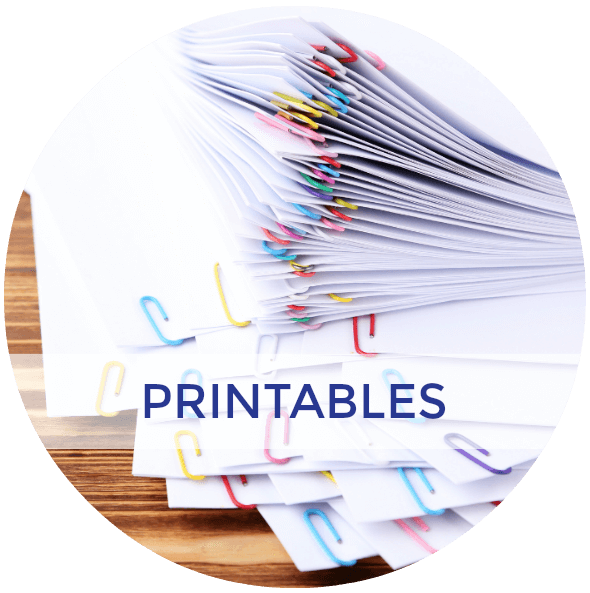 You could also use these clips to work on any practical life skill like hanging clothes on a clothes line or painting with cotton balls. You can purchase the Resistive Grasp and Pinch Exerciser Therapy Set HERE. Another bonus of purchasing from Adapt Ease is that all the items are made in the USA and were also developed by an Occupational Therapist. I love being able to support a small business, especially when the items are made right here. Have you seen the little mini erasers from the Target dollar isle? We picked some up over Easter and I plan on heading back here soon to see if I can find any other sets. 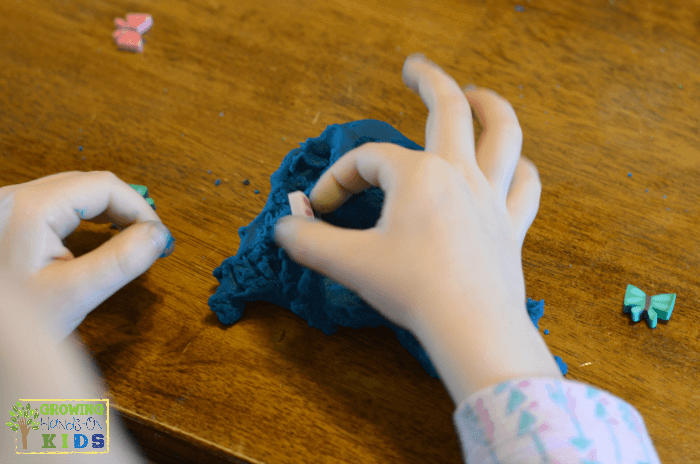 We hid some butterfly mini erasers inside our calming scented homemade play dough and Ellie had to find them all and grab them out with her fingers. 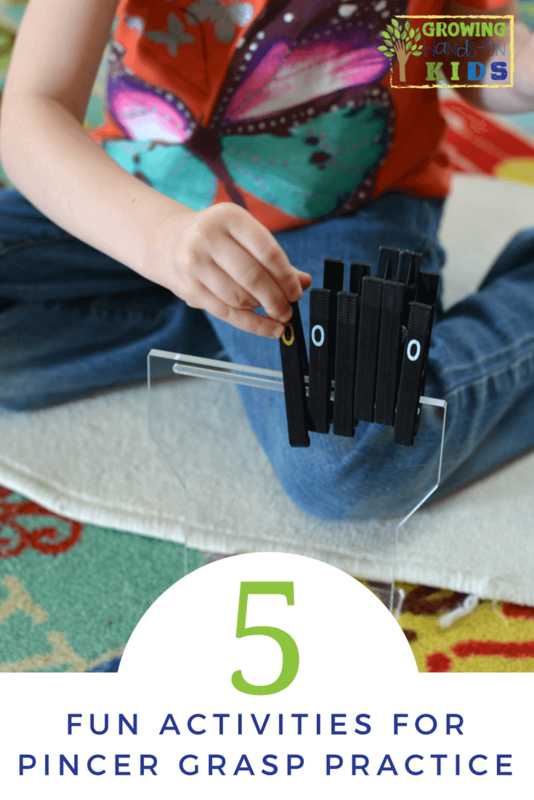 It turned into a great finger strengthening activity while working on the pincer grasp. We did this activity when Ellie was around 2-3 years old. 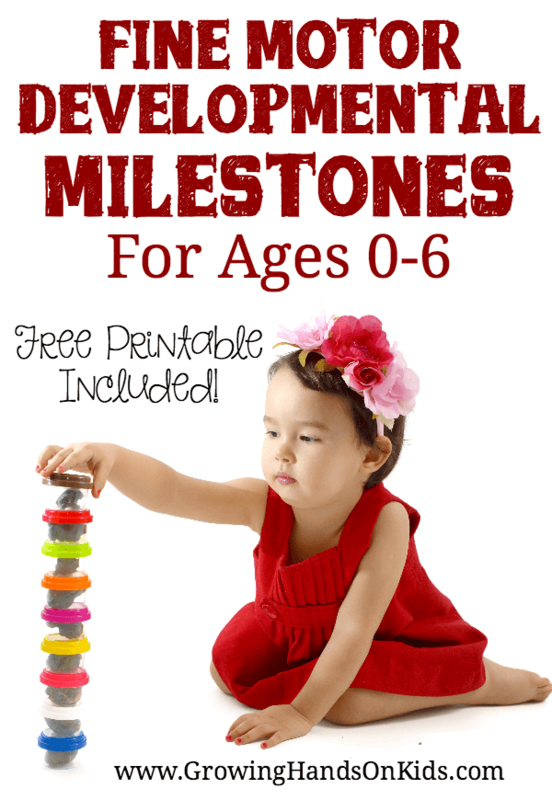 It would be great to do with a younger preschooler. 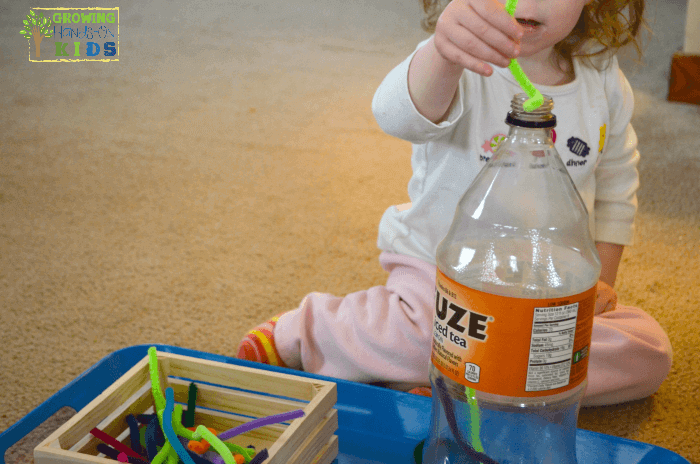 All you need are craft pipe cleaners and an empty water bottle or soda/pop bottle. 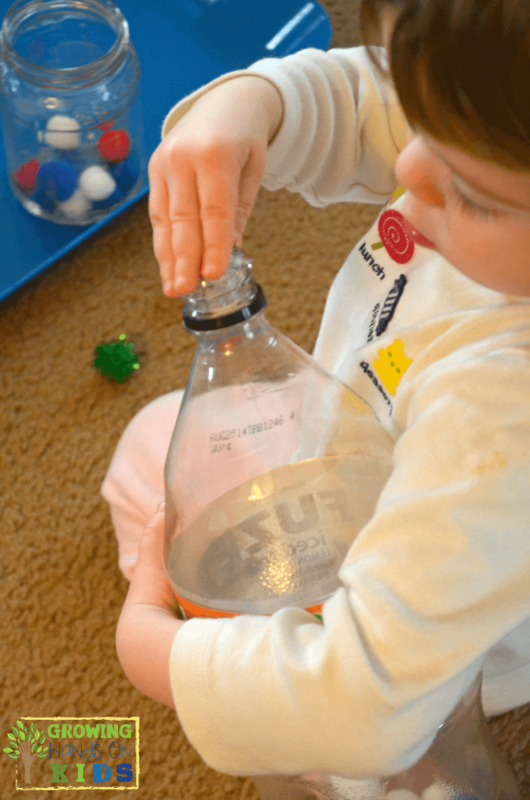 With the same water bottle, you can also use craft pom-poms and push them into the container. This is a little bit of a challenge since you have to use more precision to grasp the pom-poms and use more force to push them through the opening. You could also cut a small circle hole into the lid of an empty container to get the same effect. 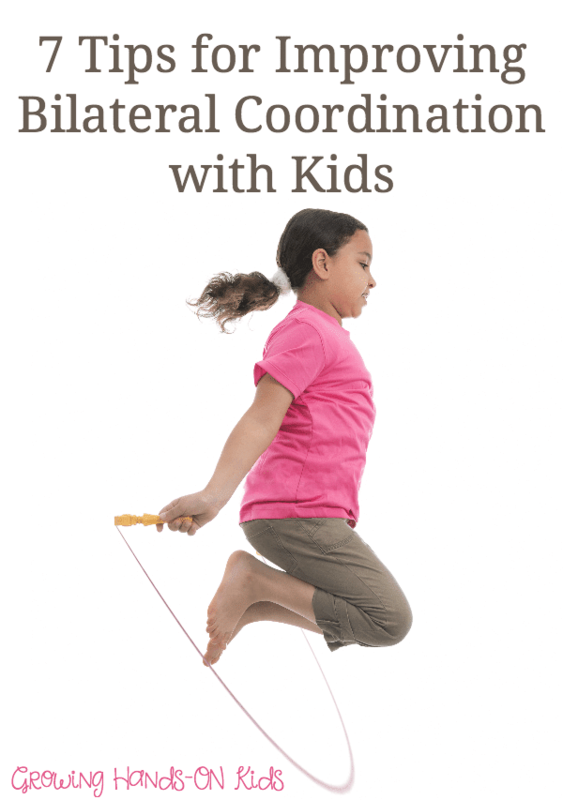 It's also a great bilateral coordination activity. As you can see below, Ellie had to grab the bottle and hold it while she pushed the pom-pom through the hole. 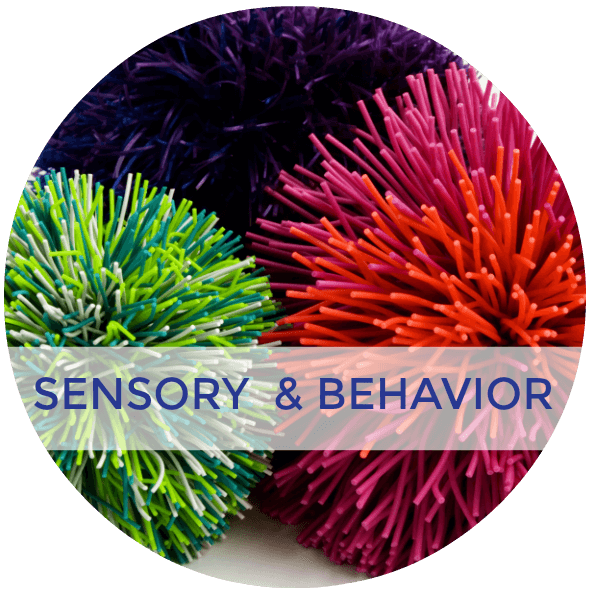 If she tried to just push the pom-pom through the hole without holding the bottle, it would often tip over. Great practice for problem solving skills too. 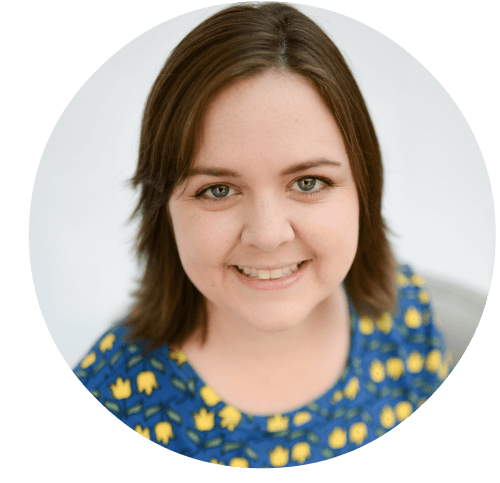 Thanks to Adapt Ease for sponsoring today's post! 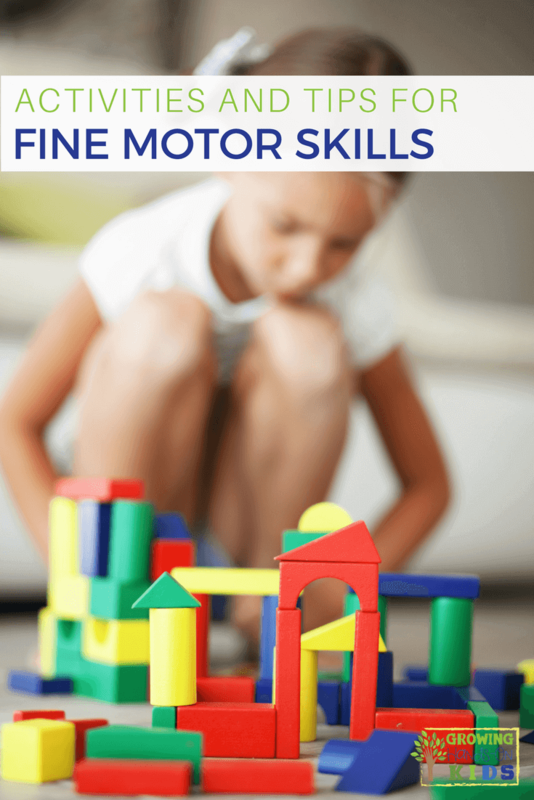 Be sure to head over to their shop on Amazon and check out all their great fine motor therapy tools. 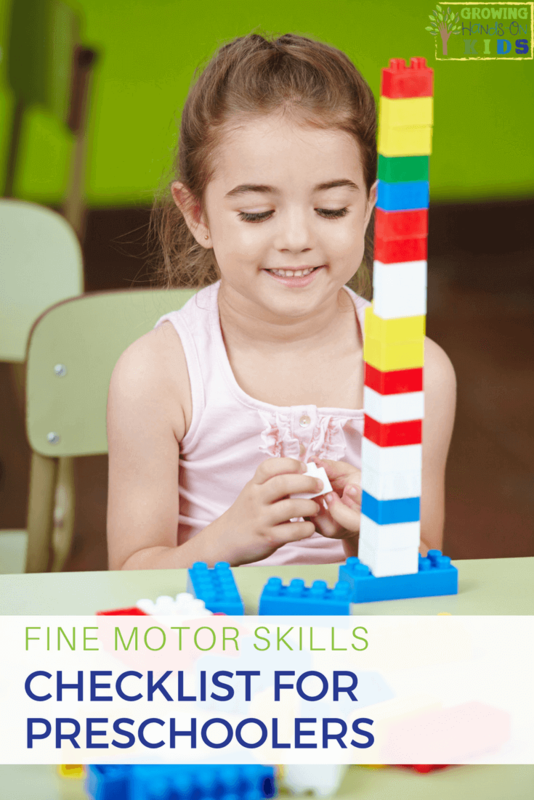 For more fine motor activity ideas like this one, check out my Pinterest board below.